Five weeks of fun, laughter, new friendships and an ignited passion to paint again. It has been 23 years since I last picked up a paint brush and I jumped at the chance to join the painting with Monet master class with the very lovely and super talented Julie Williams. Julie is a fantastic teacher, extremely calm, creative and above all patient. She guides you in just the right way to achieve results you could never imagine possible. I have loved every minute of our classes and can’t wait to do it all again. Dear Julie, Just a quick note to thank you so much for the fabulous classes. I feel a door has been opened - I am not sure how much talent will be forthcoming but I am sure that much joy will abound.. 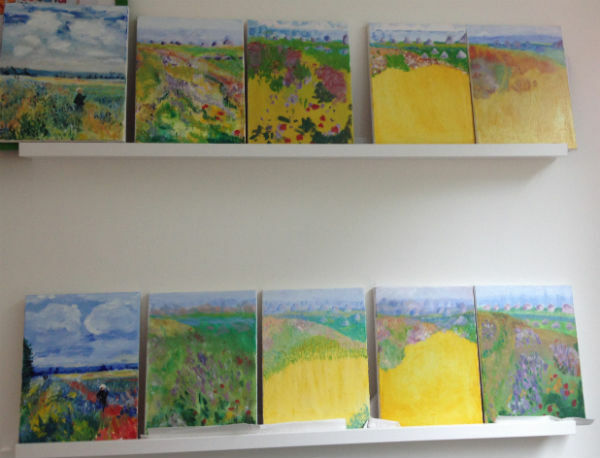 I am very impressed with the final paintings after only four, three hour oil painting classes! 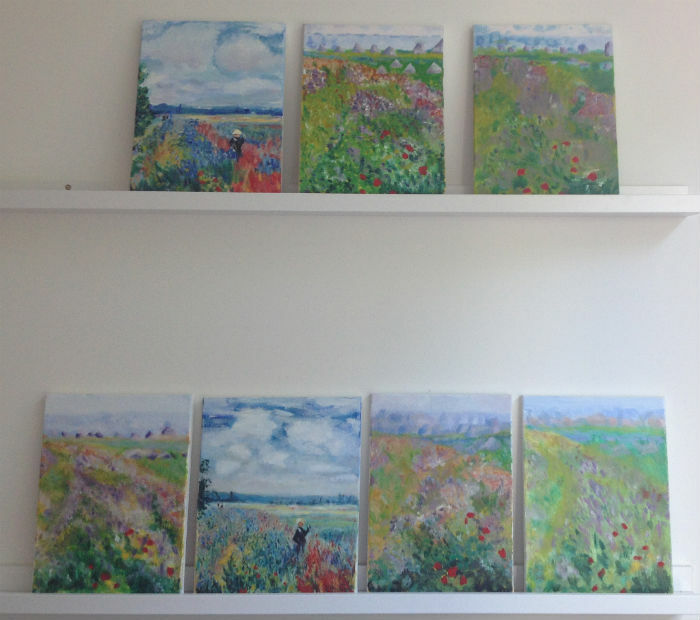 So interesting, when painting an exact size fragment of a Monet painting how different styles can still be seen. Great effort, at least three of my students had not picked up a paintbrush since they were 15! Hope to have inspired some confidence and passion as all were incredibly creative and talented. We finished off with a Travel Sketching morning on the fifth week where once again some great art was created. Contact Julie to learn more about her next Painting With Monet Class! Friends of JuliE WIlliams ARTIST | Hill END STUDIO // 2017 © Julie williams. All rights reserved.